Kofi Agbogah has over 25 years experience working as a scientist in research, development management, consultancy and teaching. His experience covers water sciences and fisheries, waste management, coastal resources and -. He has been in the leadership – managing the – USAID-funded Integrated Coastal and Fisheries Governance (ICFG) Initiative in the Western Region of Ghana. In the last 4 years he has worked towards policy shift and behavior change in fisheries and coastal zone governance. Kofi is the Director of Hɛn Mpoano. Stephen Kankam has over 10 years experience applying ecosystem and science-based approaches for understanding and managing human-environment interactions. Stephen has extensive skills in facilitating participatory planning processes and coordinating multi-disciplinary team efforts towards finding sustainable solutions to complex coastal and fisheries problems. 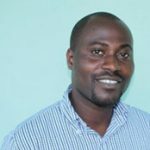 Recently, Stephen was the Coordinator of the USAID-funded ICFG Initiative, where he provided technical oversight for focal area work on coastal spatial planning, climate change vulnerability assessments and diversified livelihood activities. He facilitated and offered technical guidance for the development and adoption of integrated coastal management (ICM) policies, plans and bye-laws by coastal districts in the Western region of Ghana. Stephen also assisted national and district level officials to mainstream ICM into National Mid-term Development Policy as well as district spatial and medium-term development plans. In 2011, Stephen received the IOC/UNESCO Young African Science Fellow award for his contribution to the science of climate change in coastal and ocean waters. 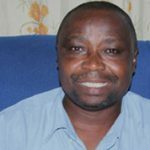 He has several publications on coastal and fisheries governance to his credit and co-authored the Integrated Coastal Management Tool Kit for coastal districts in the Western region of Ghana. Stephen has a Master degree in Human Ecology from the Free University of Brussels, Belgium. Stephen is the Deputy Director and co-founder of Hɛn Mpoano. Robert Allou has over 15 years working experience in financial administration and management within the Foreign Services & NGO arena. 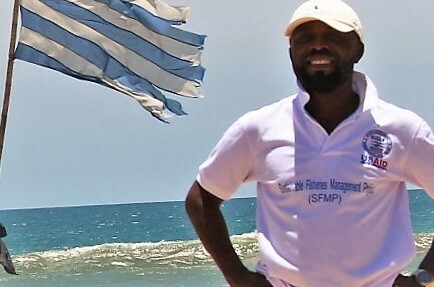 For 5 years, he served as a volunteer with the American Peace Corps in Abidjan, Ivory Coast and worked 10 years with SNV/ Netherlands Development Organization as Project Administrator in charge of finance and administration. Robert is currently the Finance and Administration Manager for Hɛn Mpoano. He holds an MSc in Fisheries Economics and BSc in Accounting. Balertey Gormey has worked in restoration and conservation of terrestrial forests and wetland ecosystems for almost two decades. He brings a social perspective into the management of ecologically sensitive areas including Ramsar protected areas in Ghana. Through training by international certification bodies like Smart Wood, Proforest and ITTO he has mastered the techniques of assessing forest management programs. He worked on the USAID- funded ICFG activities in the Western Region. He adopts an integrated approach to conservation including sustainable ecosystem enterprises initiatives in local communities. Justice Camillus Mensah holds a Masters Degree in Environmental Science and Management from the University of Rhode Island, USA. Justice has skills in the application of GIS and Remote Sensing to analyzing land use and land cover change, especially for mangrove forest. Cephas Asare graduated from the University of Cape Coast with a degree in Fisheries and Aquatic Sciences. He is interested in applied research that contributes to sustainable development. He worked with WorldFish as the Research Analyst on the ICFG Initiative. His background in fisheries gives him a good grasp on the theoretical aspects of fisheries management, but his real passion comes from applying that knowledge in fishing communities to build sustainable fisheries. Adiza Ama Owusu is a specialist in Wetland Watershed and Ecosystem Science. Adiza has knowledge and experience in the estimation of carbon in subaqueous soils and extensive skills in working with communities on watershed protection. She holds a Master degree in Environmental Science and Management from the University of Rhode Island. 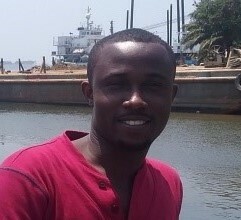 Daniel Nii Doku Nortey is an Integrated Coastal Zone Management (ICZM) specialist. 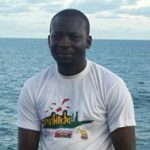 Daniel has in-depth knowledge in the spatial distribution, ecology, status and utilization of mangroves in Western Ghana. He has experience in working with local communities in developing coastal ecosystem-based livelihoods and training manuals for schools in wetland communities. He is also skilled in mangrove and bamboo stock survey. Caroline Hammond has a background in business administration. She is the Secretary/Frontdesk Executive of Hen Mpoano. She has skills in events management, logistics and organisation of workshops and training. She is also knowledgeable in USAID financial and administration protocols. Alex Owusu Amoakoh joined Hen Mpoano in 2015 as an intern on the Coastal Sustainable Landscapes Project. He is currently a Field Officer on the project in charge of Livelihood and Conservation Governance. Alex holds a Master of Philosophy Degree in Natural Resource and Environmental Governance and has written extensively on Community Based Resource Management, Climate Change and Forest Resources Technology. Ali Issah is the Logistics officer with a lot of experience in events management. He also doubles as a Transport Officer with 24 years of experience in driving. Ali has also acquired a lot of skills in Photography, Videography and editing over the years.